Professional Couples Counseling of Long Island’s Queens, NY location is convenient to Forest Hills, NY. We are recognized experts in providing Psychotherapy for Women’s Issues, Marriage Counseling and Couple’s Counseling. 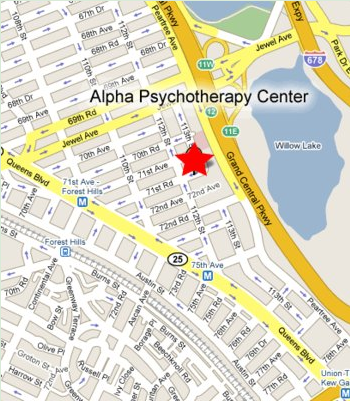 We invite you to phone us to schedule an appointment.Contact Alpha Psychotherapy Center. At Professional Couples Counseling of Long Island, we offer focused treatment in the areas of self-esteem & identity, anxiety, depression, relationship, intimacy, career and job.